The Department of Justice made clear that the special counsel’s report includes no new indictments or sealed indictments. After this thorough investigation, President Trump has been cleared of a charge that has divided the nation and been used by Democrats and many in the media to cast doubt on the legitimacy of the results of the 2016 presidential election. Armed with the truth, Americans can now be assured that neither our president nor any American has been charged of criminal conspiracy to collude with Russia. Carl Bernstein, of Watergate fame, said on Monday that, “the American system of justice has delivered to President Trump the greatest gift of his presidency.” That gift was the truth, that despite the claims of the president’s political opponents and their allies in the media, there was no collusion to subvert American democracy. The Mueller report findings are momentous because the nation has been transfixed by the Russia collusion narrative for the past two years. A media study found that the total amount of time in 2018 devoted to the “Russiagate” story on evening newscasts of the three major networks, ABC, CBS and NBC, was 332 minutes. Another study found that since May 2017, more than 533,000 web articles have been published about Russia and the special counsel. These powerful figures are not alone in American politics to have bet everything on a false narrative, and they have lost all credibility. The truth appears to be too inconvenient for many Democrats to accept. The purpose of the special counsel was to find the truth no matter where it took us, and the truth is that there was no collusion, conspiracy, or coordination. I voted with 419 of my colleagues in the House in favor of releasing the report, within legal guidelines, to the public because Americans deserve transparency. President Trump has also called for the report to be made public. Special Counsel Mueller has vindicated the president by clearing him of collusion charges, the central argument his critics have used to attempt to delegitimize his presidency, and now it is time for our country to begin moving on. 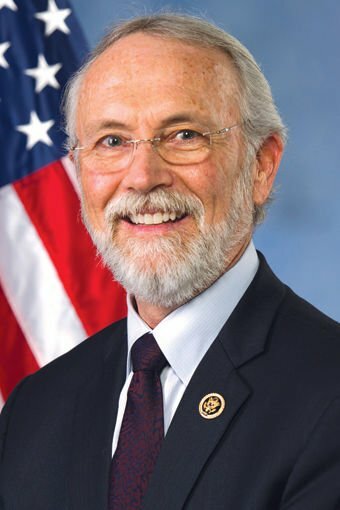 Dan Newhouse is a Sunnyside farmer and the U.S. Representative for the 4th Congressional District.